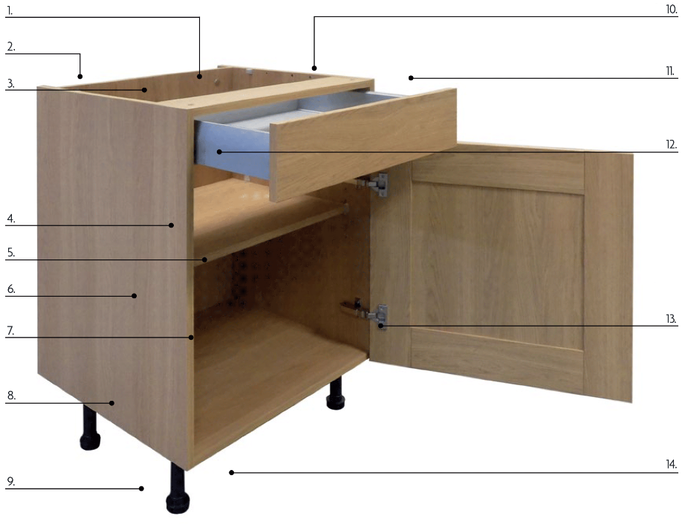 Chippendale's high quality kitchen cabinets are made from 18mm thick chipboard panels incorporating solid backs. You can choose from 10 colour co-ordinating finishes which feature on both interior and exterior surfaces. A full range of matching plinths, panels and pilasters are also available which will add to the overall co-ordinated look. 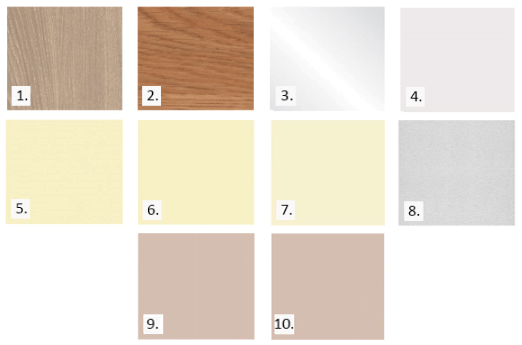 A choice of 10 cabinet colours are available to allow you to either fully co-ordinate or contrast to your fascia. A full range of plinths, panels, pilasters, cornice and pelmet are available, allowing you to create a fully co-ordinated look. • Contact us now on 02476 675858 to arrange your free kitchen design appointment! We’re open seven days a week, for your convenience. For more information please see our Contact Us section for various ways of getting in touch.